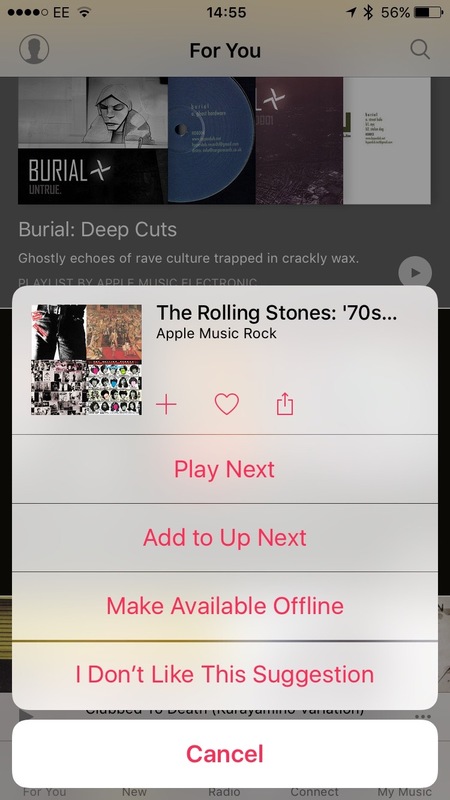 I’m into the first month of Apple Music as a paid product and it’s starting to annoy me. Mostly it works fine and I can stream any music at any time as advertised. However there are definite issues with new releases and their catalogue isn’t as great as I thought. Clubbed to Death was launched on Friday and looked to be a fairly good compilation album but like most from the 90’s and 00’s I probably had most of the tracks already. 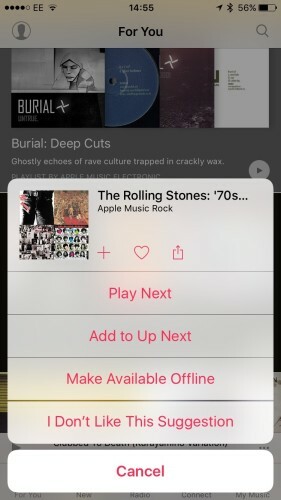 I fired up Apple Music and it was there but I could only stream around half the tracks. 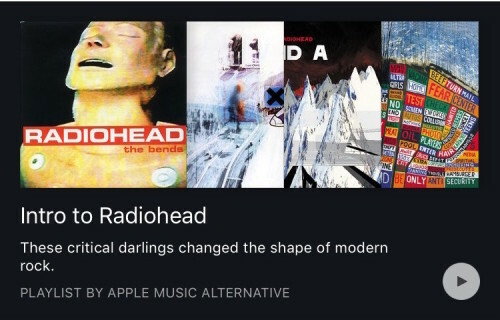 Disappointing especially as many of the unplayable tracks I had in my library. 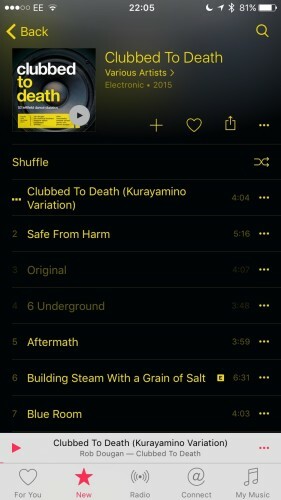 I’ve since checked and they aren’t special editions, so it looks like Apple doesn’t have the licence to stream the tracks…but couldn’t it see I owned some of them already and made them playable? I don’t think thats much of an ask. 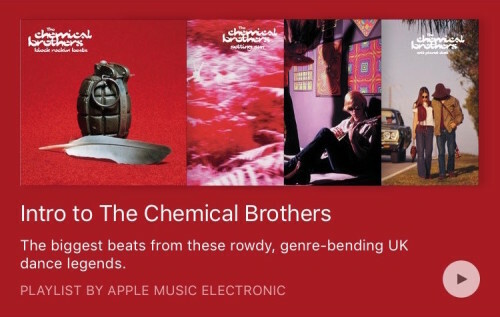 What’s more disappointing is the For You recommendation section in Apple Music. I listen to a fairly wide range of music, probably more Electronic than anything else but some of the recommendations I get from Apple are a bit, well, weird. They are predominantly rock and they have an obsession with The Rolling Stones. 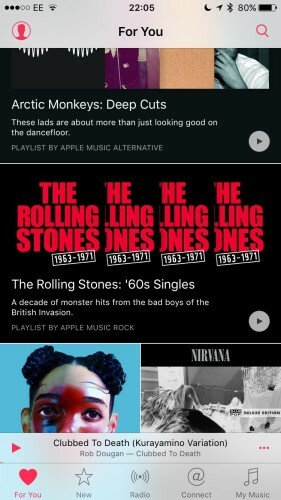 Every couple of days I’ll get a new Rolling Stones recommendation in For You and thats despite saying “I Don’t Like This Suggestion”. The same suggestions get made and they just seem to roll around again after a few weeks. I kept hoping it was teething trouble during the trial but it still persists today. Equally annoying is the ‘Intro to…’ recommendations. 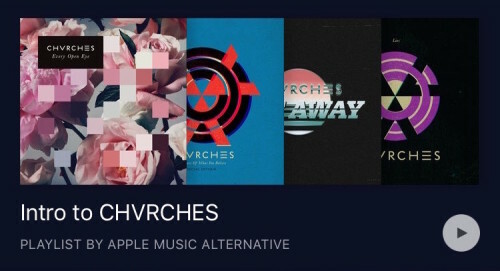 The three above are available in my For You section and are for Radiohead, Chemical Brothers and Chvrches. Not only are they three of my favourite artists but I have bought all their albums so why do I get a recommendation introducing them to me? Surely those playlists should introduce me to artists that I’d potentially like that aren’t in my library based on my listening habits? If this doesn’t improve over the coming weeks then I’ll probably cancel Apple Music as it’s not helping much with discovery right now after initial good impressions.